On Armistice Day, the anniversary of the end of the First World War, it is customary to think of the fallen, and of the ways by which the likelihood of war can be reduced. 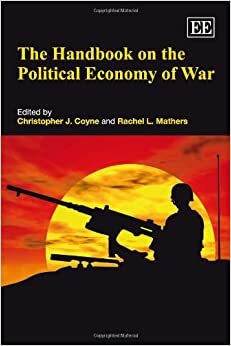 As armistice day reading this year, I would recommend an excellent new collection of essays called The Handbook on the Political Economy of War edited by Christopher J. Coyne and Rachel L. Mathers. The papers in this collection, which are by scholars working a variety of disciplines and intellectual traditions, are, for the most part, superb. 6. What is Guerrilla Warfare? 13. Arms Trade Offsets: What Do We Know?